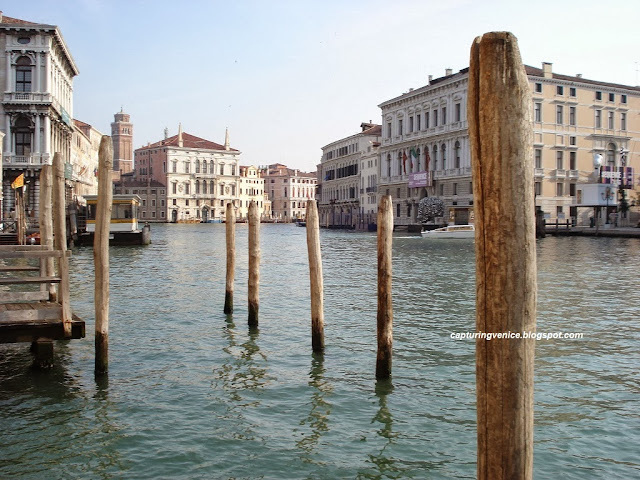 After saying farewell to the Istituto Ciliota, I moved into a beautiful apartment with three American girls, two of whom were fellow interns at the Peggy Guggenheim Collection and the third was a violinist who was travelling through Europe. 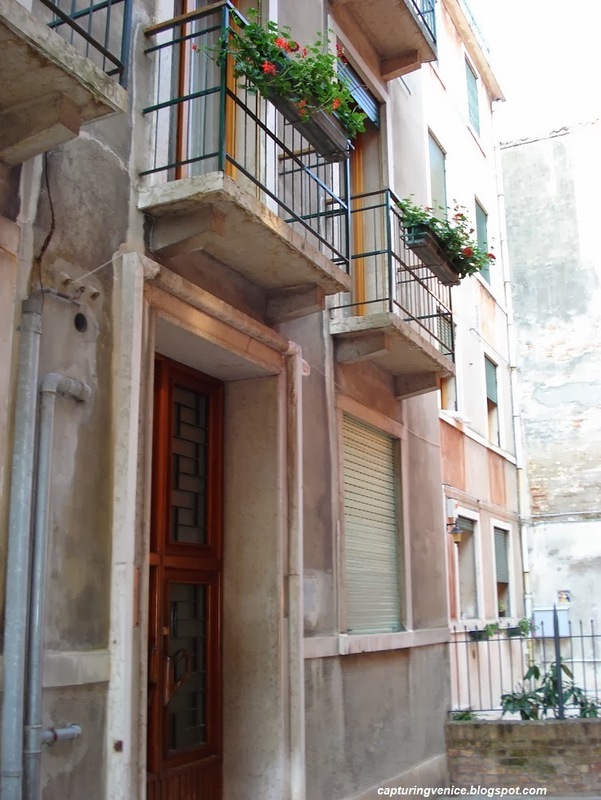 Our apartment was on Calle dei Cerchieri in Dorsoduro (not far from the Rio della Toletta) and it seemed astonishingly beautiful and luxurious - filled with ornate furniture, some hand painted with Venetian scenes, and with cupboards filled with Venetian glassware. We had two balconies, and the one off the kitchen looked out at the bell tower of San Pantalon. 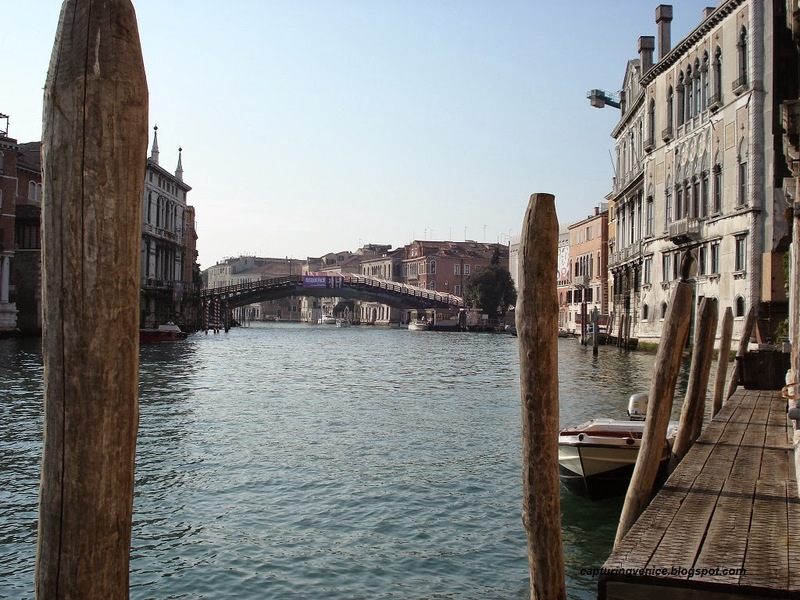 Our apartment was perfectly located - just a brisk ten minute walk from the Peggy Guggenheim Collection. It was also a short walk to Campo San Barnaba to buy grocery items: cheese and bread (the cheese shop has closed - it's now a café - but the bread shop (I think it's called Rizzo Pane is still there). I'd buy my vegetables from the old vegetable boat moored alongside Fondamente Gheradini next to the Ponte dei Pugni (thankfully it's now run by new operators after the former owner retired) and then carry onto the supermarket at Campo Santa Margherita. Most evenings we walked over to Il Doge in Campo Santa Margherita for a cup of gelato (in those days, Campo Santa Margherita was lively but it certainly didn't pump until the early hours of the morning as it does today). There was a little bar on Calle dei Cerchieri, just a few steps from our front door, where I learnt to like drinking prosecco. One of my flatmates drew some charcoal views of Venice which she was allowed to pin up along the walls of the bar, and when I stood on tiptoe to look into the bar in 2007, those charcoal drawings were still there, although the bar never seemed to be open. When I returned this year, the bar was definitely shut and I couldn't see any sign of those drawings. 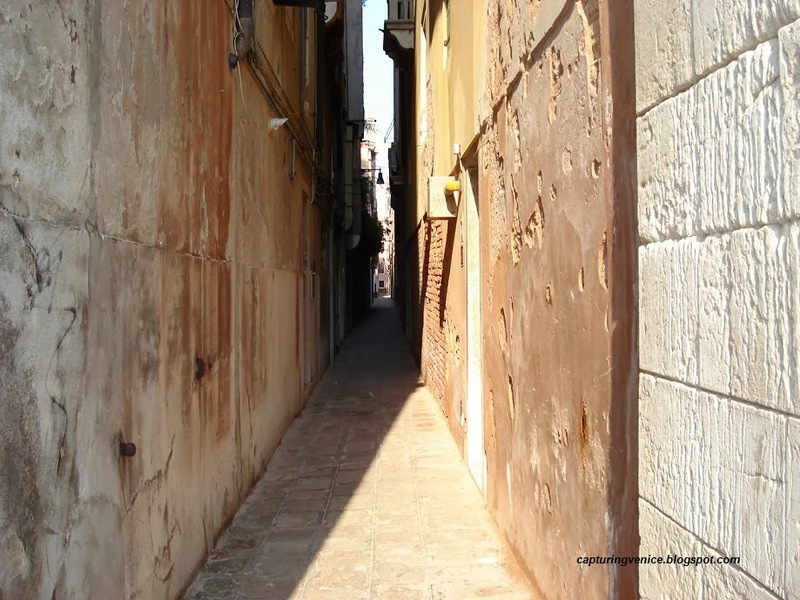 I loved the Calle dei Cerchieri then, and I still do. It feels like home and a sanctuary. But what I loved most of all was the end of our street...it ended with a little wooden jetty on the Grand Canal. The building on the left is Palazzo Loredan dell’Ambasciatore, a late 15th century Gothic palazzo. In 1752, I recently re-read Andrea di Robilant’s account of his ancestor Andrea Memmo’s love affair with Giustiniana Wynne and realised that Palazzo Loredan dell’Ambasciatore was briefly her home after she married Count Orsini-Rosenberg. 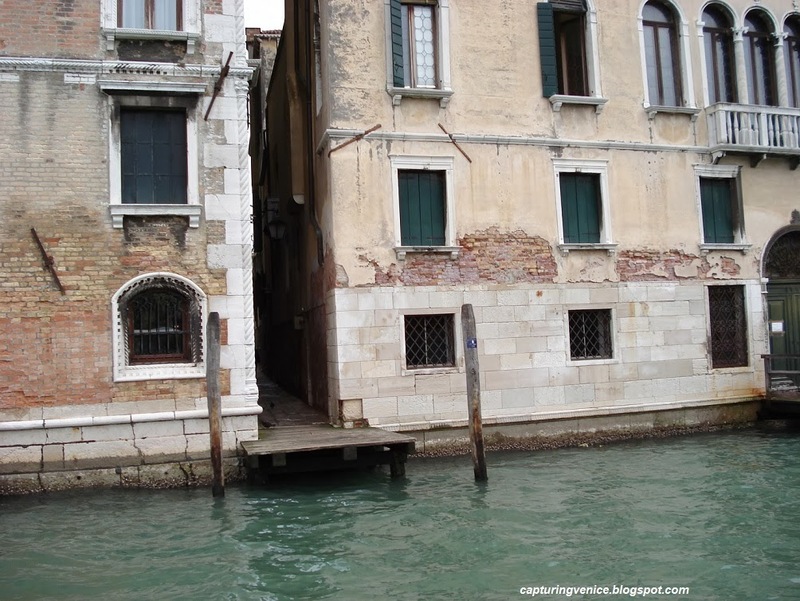 The building on the right hand side of the viewing spot is Palazzo Moro, which dates from the 16th century. I stumbled across your blog, and like you, I'm fascinated by Venice. I've just come back from a week there - my eighth visit - and I stayed in a small ground-floor apartment in the Palazzo Loredan dell'Ambasciatore. In fact the small barred window on the left of your picture is one of the windows of our living room! I've read a few more of your posts, and last year I stayed in an apartment near the church of San Pantalon, and the year before in Salizzada San Samuele, next door to where Veronese lived.